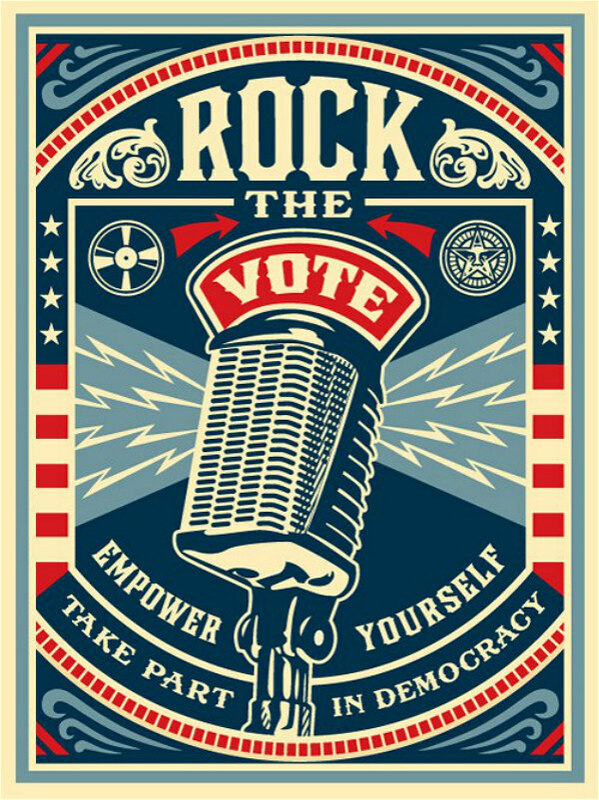 Rock the Vote is a non-profit organization in the United States founded in 1990 to encourage young people to vote. It is geared toward increasing voter turnout among voters ages 18 to 24 and the organization is known for its celebrity spokespeople and its partnership with MTV. The font used for the RTV logo is Gotham Ultra, a geometric sans-serif digital typeface designed by American type designer Tobias Frere-Jones in 2000. You can view more about this sans serif from typography.com. The above is a post of Rock The Vote featuring various fonts: LHF Firehouse (ROCK), LHF Old Stock 2 Regular (VOTE), LHF Old Abe (Take Part in Democracy). In addition to Rock The Vote, Gotham typeface is also used in the following logos, movie posters or album covers etc., including: Making A Murder, Discovery Kids, All She Can, Gran Torino, The 20/20 Experience, DC Comics, The Emoji Movie, Eichmann, Wimbledon Logo, Sully (film), Clover Sonoma, Spotify, Feeding America, Carry You, The O.C..